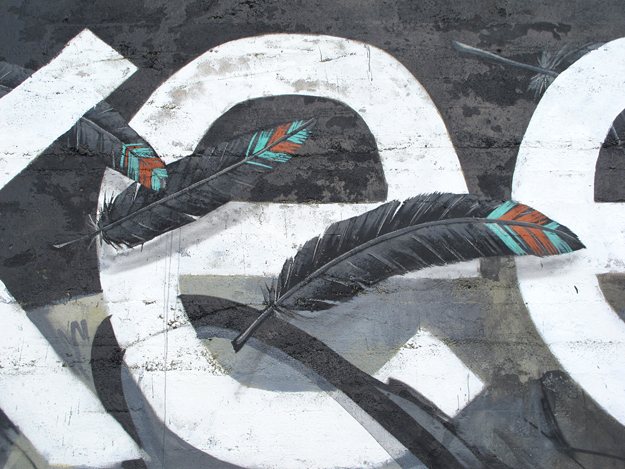 For one week in August during another beautiful Portland Summer, a dozen artists from around the globe descended upon my town to create enormous scaled murals all around Portland. 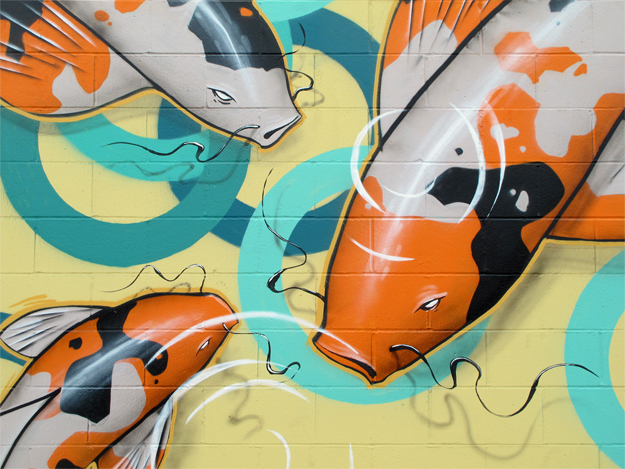 Hailing from Brazil, Hawaii, Tokyo, Canada, New York, Seattle, San Francisco, Los Angeles & 4 Portland Locals, we created a dozen murals, some being over 100′ wide or 30′ tall in 7 days. 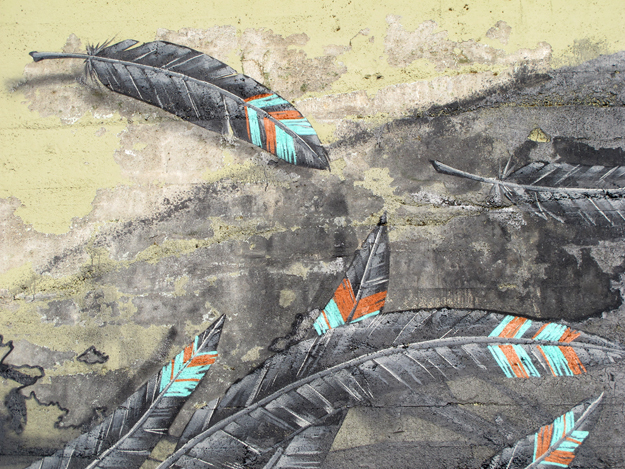 Forest for the Trees is the brain child of artist Gage Hamilton, in partnership with the legendary POWOW project and co-curated with Matt Wagner of Portland’s famed Hellion Gallery. For more information on the event, a map of all the murals, and artists who participated, please visit the official Forest for the Trees website. For a weekly photo journal of the week, please see Hellion Gallery’s photos on their website. 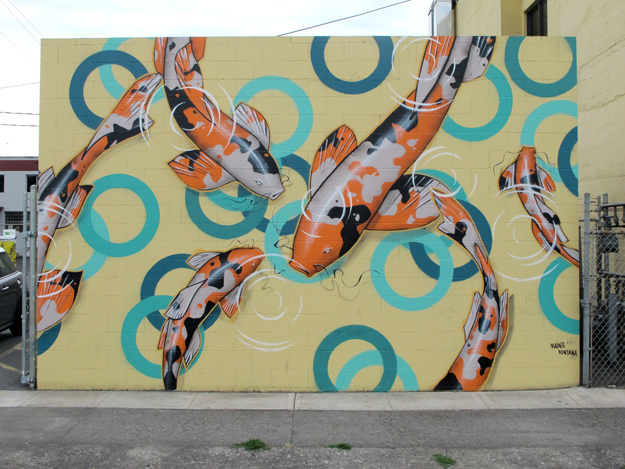 Below are the 2 murals I created on Portland’s SE & NE neighborhoods. 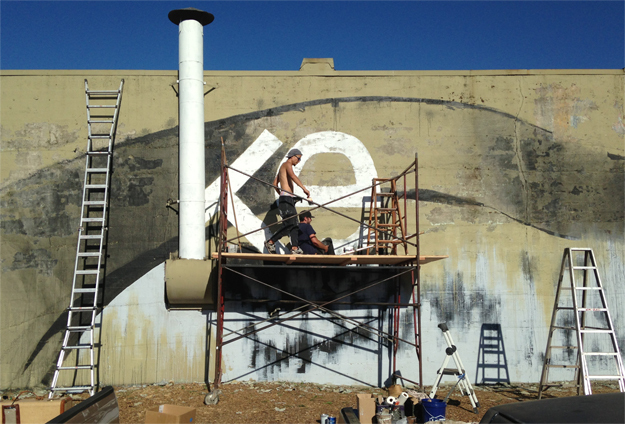 The “Keep Your Chin Up” mural was a collaboration with local artist and designer Zach Yarrington and Tokyo artist Jun Inoue. Forest for the Trees from Empire Green Creative on Vimeo.